Using current hi-tech infrastructure we plan to shift the level of knowledge to a qualitatively new level. We plan to conduct the research on the factors affecting the state of forest ecosystems and its components in the laboratory and in field conditions. In climate boxes and chambers we will examine the impact of various factors of the simulated environmental conditions on host plants, in particular the changes in the production of metabolites that are related to defence capability and predisposition to attacks by bark beetles, but also the population of bark beetles. Under field conditions, we will use terrestrial and airborne laser scanners to map the structure of ecosystems, to obtain the reactions of trees to the specific conditions using terrestrial and aerial thermal imaging cameras and a hyperspectral scanner. 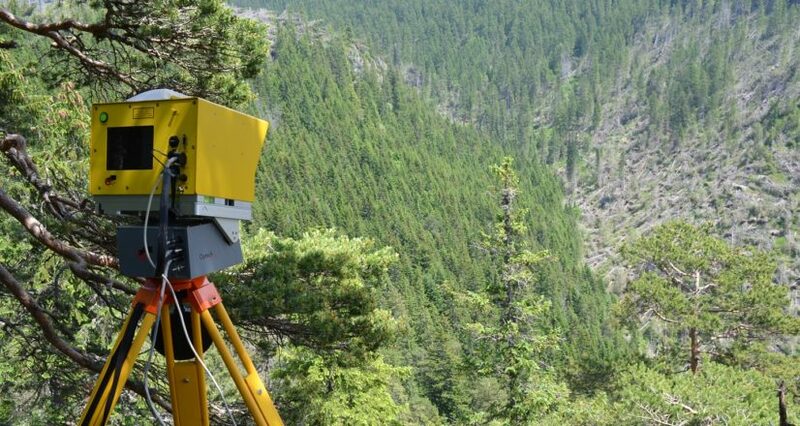 Airborne sensors will be carried by an unmanned aerial vehicle (UAV) and all detailed information obtained from them will be qualitatively new inputs (resolution in millimetres to centimetres) into the decision support systems developed for the management of spruce ecosystems. Time series of satellite data (Landsat, Sentinel 2) are going to be used to assess long-term ecosystem dynamics. The analysis of semiochemicals (substances used for chemical communication between individuals of the same species or between species) under laboratory and field conditions, particularly in the host – phytophage communication system will be supported by gas chromatography with mass spectrometry coupled with electroantenography capable of detecting insect responses to volatile biologically active compounds. This data will be useful for the management of insect populations. Understanding the responses of tree species and their adaptability to new environmental conditions arising from on-going climate changes associated with more frequent extreme weather events is increasingly important. Therefore, our objectives are to track changes in photosynthetic productivity, chlorophyll fluorescence and bioenergetics and functioning of forest tree photosystems affected by abiotic and biotic stress factors. Physiological research on forest tree populations, their productivity (photosynthetic activity estimated by chlorophyll fluorescence, plant gas exchange measurement, etc.) and their resilience will provide most effective approach to determine and predict potential effects of various stress factors. We will focus mainly on spruce and other economic forest tree species (e.g. poplar clones) which provide important ecosystem services in central Europe.